This 90 Minute Interactive Webinar Will Teach You Marketing Strategies and Tactics That You Can Use for All of Your Nonprofit’s Videos Including Your Thank You Video! Many nonprofits spend time and resources creating great videos, but they don’t have a strategy to get the most mileage out of them after production is over. 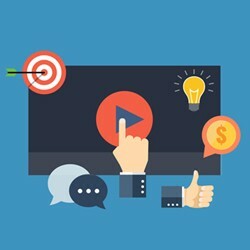 Thankfully there are simple tried-and-true tactics that even small nonprofits can use to market and promote their nonprofit videos to a wider audience. Join Julia Campbell, digital marketing strategist who has helped nonprofits build their online communities and raise thousands of dollars online, and learn tactical ways to promote your nonprofit videos to get more exposure and increase visibility for your organization. Whether your nonprofit is large or small, has a huge online presence or is just starting out, there are simple ways that you can market and promote your amazing nonprofit videos. We will show you how! This 90 Minute Interactive Webinar Will Teach You Marketing Strategy and Tactics That You Can Use for All of Your Nonprofit’s Videos Including Your Thank You Video! "Julia has so much knowledge that was really great, and she was quick and knew what she was talking about - she didn't waste my time, which I appreciate. I even started following her on FB because she has so many helpful links and information." 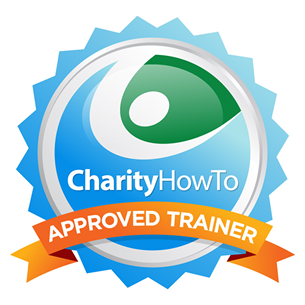 "This was my first CharityHowTo webinar and I thought it was really helpful! I learned about a lot of great tools and ideas I can implement right now. Sometimes webinars waste too much time with extreme basics like "this is what Facebook is", but I really enjoyed the pace of this webinar. It also sparked some new video ideas for us! Thank you!"